Glutamine powder of certified purity with Kyowa® seal. 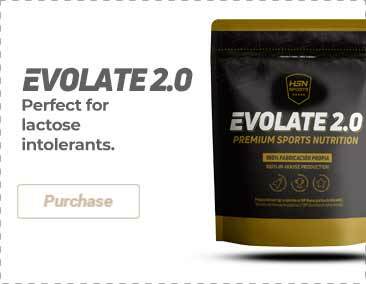 100% Glutamine, it provides 20g of glutamine per daily dose. Who can benefit from L-Glutamine Powder? L-Glutamine Powder by Quamtrax is a nutritional supplement in powder made of glutamine, with a 100% purity and of a high quality. Glutamine is one of the most important amino acids for sportspeople. It is considered a conditionally essential amino acid since, even though the organism can synthesize it from glutamic acid and asparagine, sometimes it will be necessary to consume it in higher amounts, for instance during intense workouts, or during a caloric restriction in order to reduce the fat percentage. L-Glutamine is considered a powerful anti-catabolic agent that helps to protect the muscle mass both during regular activity as well as during intense workouts. It participates in the maintenance of a nitrogen positive balance (an anabolic state) and it also helps to keep a healthy immune system. Moreover, glutamine is a regulator of the acid-base balance and a transporter of nitrogen, which allows to excrete ammonia successfully. Maintaining a glutamine supply during times of a higher physical stress or work load can contribute to reducing a possible overtraining syndrome. It is important to highlight the origin of the Glutamine that is used by Quamtrax, it includes the Kyowa® seal as a proof of the purity and quality of this product. Ajinomoto is a Japanese enterprise which is a worldwide leader in the production of the purest amino acids of the highest quality. Consume 2 scoops (10g each) twice a day by mixing them with water or juice, preferably during the meals.